Astex Environmental Services (AES) recognizes that the nation’s resources, both natural and economic resources, are limited and that the decisions of allocations are based on the most effective uses of those resources. 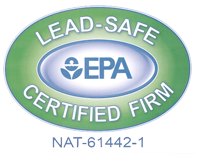 AES is experienced in various disposal practices and regulations, including appropriate landfill requirements for lead, asbestos, Total Petroleum Hydrocarbons, PCBs, etc. In addition to standard disposal practices for hazardous and non hazardous materials, AES is experienced in the techniques of bio-remediation and has the philosophy that when possible, contaminated soil and water should be bio-remediated, thus eliminating the problem and the liability forever. Experience has shown that this solution not only saves valuable space in our country’s limited landfills, but also is generally less expensive, both in analytical costs as well as the overall cost of disposal, than the more traditional disposal methods. Based on the Phase II Environmental Site Assessment, whether prepared by AES or another firm, our professionals will develop a remediation strategy that is easy to understand and follow. The remediation strategy includes descriptions and quantities of the soils and the contamination, various options and methodologies of the remediation process, techniques of containment for controlling waste, and a cost analysis for each option emphasizing the method that would meet the client’s short and long term goals. Upon selection of the appropriate option, AES’ professionals will manage the project from the initial preparation to the final closure including all interfacing with the appropriate local, state, and federal agencies. Upon the completion of the project, Astex Environmental Services provides the client with complete documentation assessing the effectiveness of the process to satisfy future liability requirements. This entry was posted in Remediation & Disposal. Bookmark the permalink.